Completed for the Department of Electrical and Systems Engineering (ESE). Completed for the Departments of Bioengineering (BE), Chemical and Biomolecular Engineering (CBE), Mechanical Engineering and Applied Mechanics (MEAM), Materials Science and Engineering (MSE), Computing and Educational Technology Services (CETS). 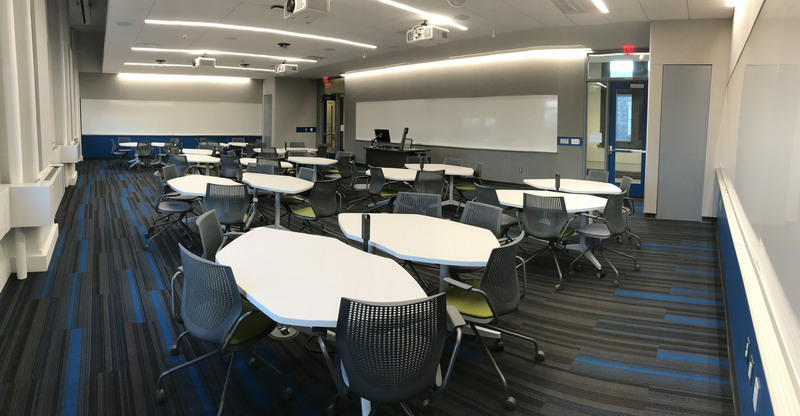 The Entrepreneurial Active Learning Classroom. 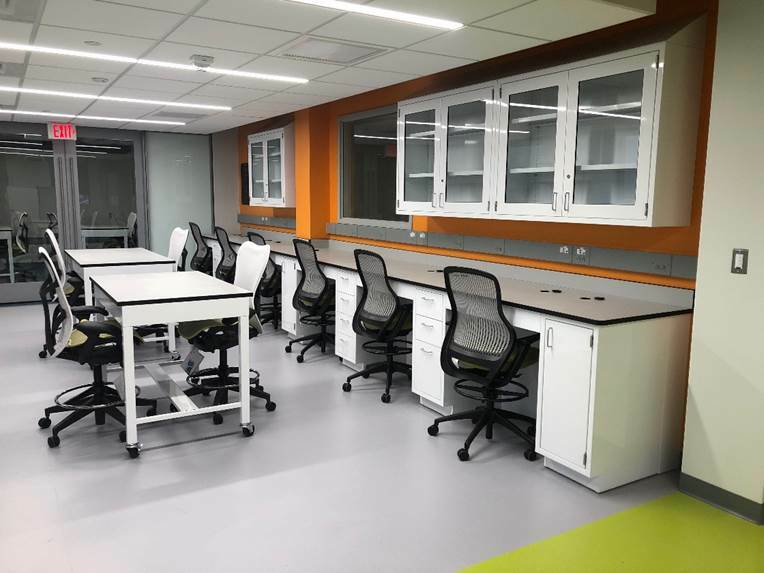 Completed for the Departments of Bioengineering (BE), Moore 300 includes the new Osuji and Mitchell Laboratories. 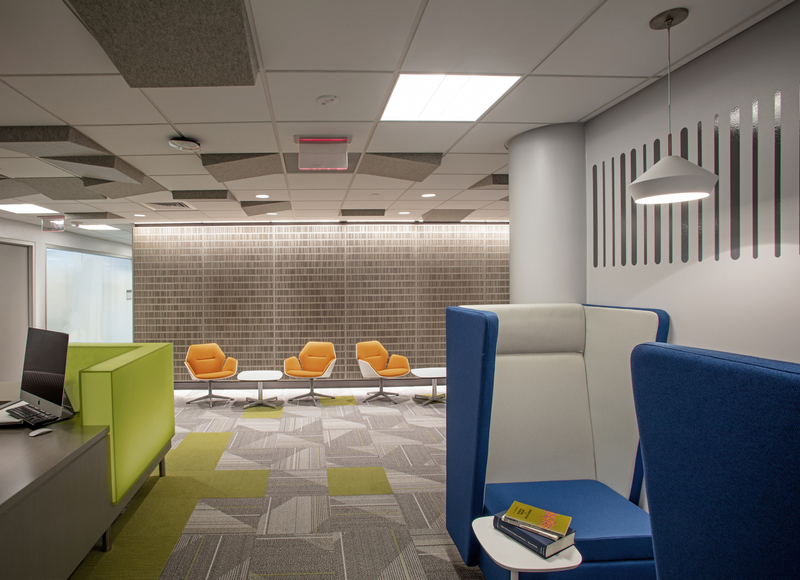 The Towne first floor renovation project received LEED Silver Certification. Apply to Penn's Green Fund. We welcome ideas from students, faculty, and staff about ways to improve Penn's environmental performance! 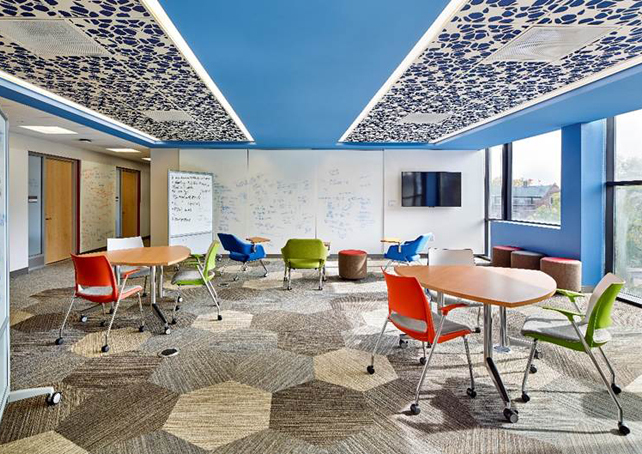 Congratulations to the George H. Stephenson Foundation Educational Laboratory for their recent Green Lab certification! 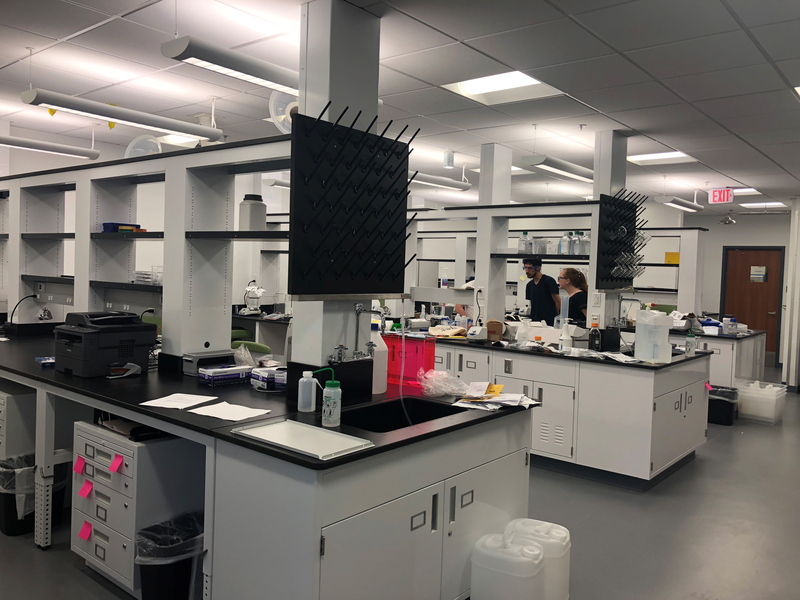 Our goal is to help 9 more engineering laboratories achieve a Green Lab certification by the end of 2019. 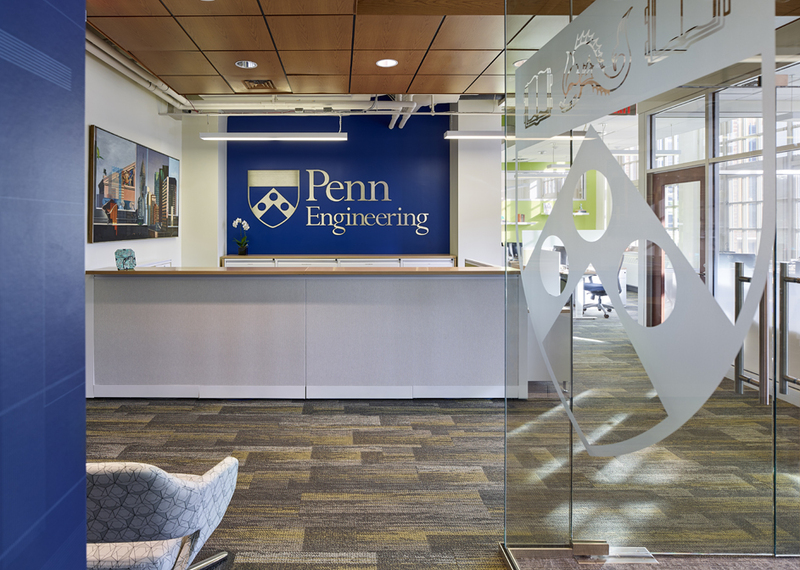 Penn Engineering Planning | Design | Construction strives to provide innovative and cost-effective solutions that support Penn Engineering research, education and community. 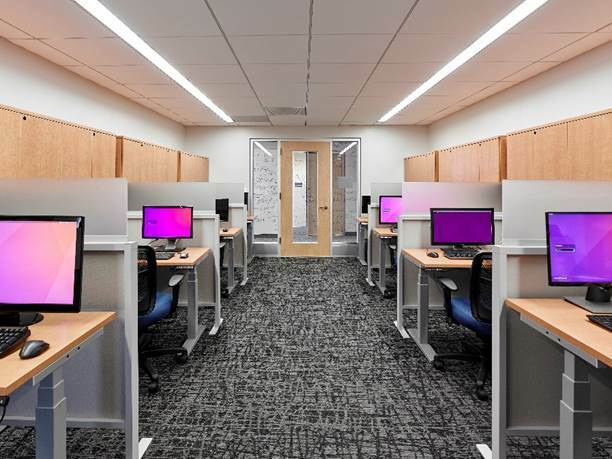 Our staff provides key support to new and existing faculty, staff, and students regarding new construction, building renovations, furniture, sustainability, artwork, signage and ergonomics.